it’s a great book – I sometimes feel Ottolenghi does too much to the food, you know what I mean? It’s always such a collection of spices and flavors that sometimes the flavor of the actually food is masked. 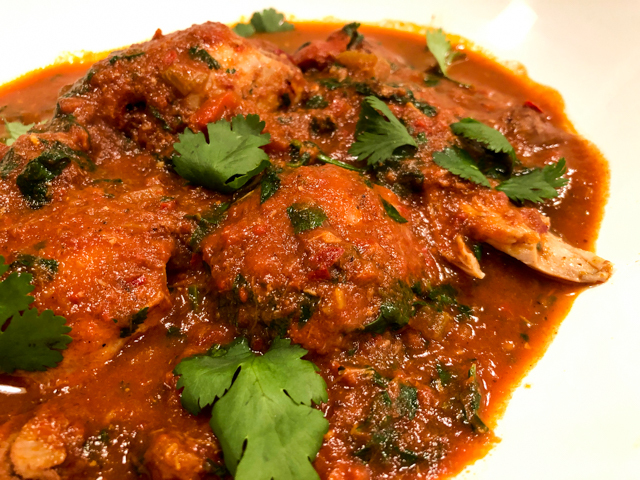 I know everybody loves Ottolenghi, and I do too, but… well.. you might know what I mean. The Rose harissa is spectacular, though. Worth searching for, or caving and getting from amazon. Man, your description of the Couscous Royale in that setting made my mouth water. I’d love to experience that someday. it was pretty amazing that evening in Paris… when they bring the ROyale to the table, they put those little sparkly thingies – forgot what you call them.. You know the ones that you put on birthday cakes in fancy restaurants or kids’ parties? They set sparkles like tiny fireworks – so the whole thing is quite spectacular. They only do that for th Royale, so if I wasn’t with someone who was a real connaisseur, I would have missed the experience. It sounds cheesy, the sparkling thins, but it’s not. Well, it was not. Maybe because it was so unexpected to me – this was many years ago, I think 1992. Anyway, harissa is forever linked to that in my mind. Strangely enough, those sparkly things that sparkle are called “sparklers”. I can see how that would slip your mind. It’s not obvious. But you’re cute, and, uh….ummmmm…..
Oh, I’m going to have to give this one a try! I’ll get my hands on the rose harissa; I can understand the magical Parisian association … our memories are so intricately linked to food, sweet nostalgia. And the chocolate… a little mole action is always welcome ✨ thank you for the delicious inspiration. yeah, chocolate and Rose harissa… I mean, c’mon! I’ve added it to ground chicken/turkey for a bit of heat in the patties I’ve made. And, it’s great as a rub. What future fascinating discoveries ! I cook Tunisian more than Moroccan but harissa is a baseline always. Now: have never ever actually bought rose harissa tho’ it is freely available at a numbat of my favourite Sydney spice merchants. Simply as I have had ‘bad’ experiences with our local ‘ras el hanout; which, naturally is used all the time – at least two of the merchants have theirs so highly ‘powered’ with rose petals they make the dish far too rich, quirky and unpleasant on the palate . . .have had a look you harissa is freely available and shall certainly try: thank you for the challenge . . . awesome!!!! so nice to be able to play with so much cool stuff, isn’t it? Don’t you love it when you make something and it is even better that expected? This sounds delicious. That book is sitting in my Amazon “save for later” shopping cart……. save for later? save for later???? tsk tsk tsk, I am failing at my mission. SAD! well, I thought I’d discovered about all of the condiments out there, including a recent discovery of curry ketchup, but now I have to track down rose harissa! Great recipe! 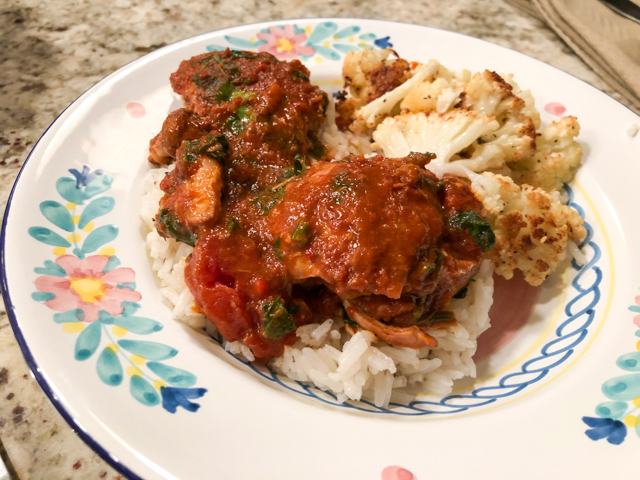 I love harissa and this recipe is making me very hungry! 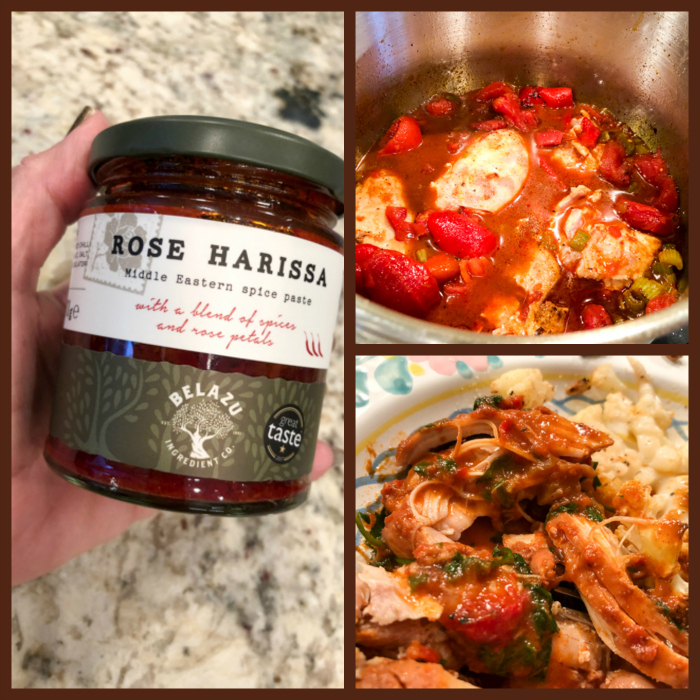 I have never cooked with rose harissa, though – and I will definitely try it.